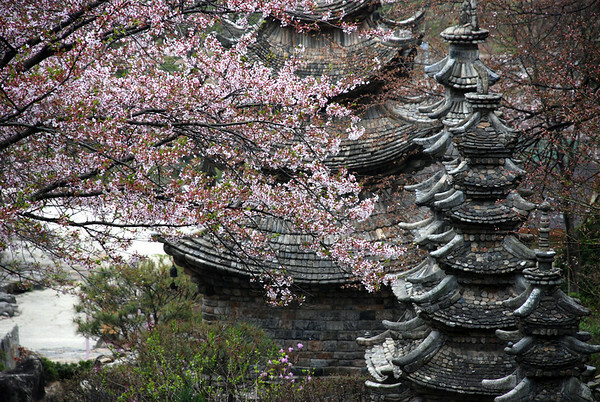 Sunday Photo; blossoms and pagodas – Wake Up and Laugh! The trail up the small hill at Waujeongsa is lined with some very interestingly designed pagodas. In April, when the cherry blossoms are in bloom, they become magical! This is stunning! We have cherry blossoms here, but alas, no pagodas to complement them so deliciously. We even had a cherry blossom festival here last week on Salt Spring. It was great fun, with a shakuhachi flute player and ikebana demo, a talk by a Japanese landscape architect. what a scene! i’m sure Caspar David Friedrich would have unpacked his paint-brushes here. so beautiful…! Thank you, Joseph! Evelyn – I had to look up Caspar David Friedrich *^^* Thank you for sharing his name, aren’t his images amazing?! Genju – being from Nova Scotia, I can empathize! There’s a reason besides the cherry blossoms that I love the spring here so much, it doesn’t let the winter linger!